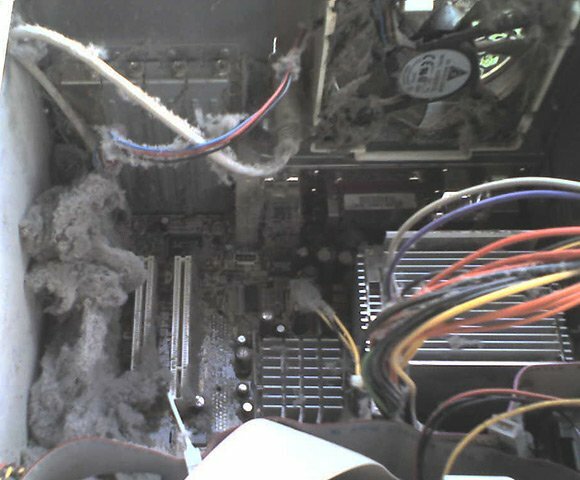 It amazes me how people let their equipment get in this state, the problem is most people dont realise processor speed is inversely proportional to heat so the hotter your processor gets the slower it is. THE ENTIRE BOARD OF THIS BRITISH BANK WERE REALLY PUZZLED WITH THE FOUL LANGUAGE AND WORDS USED IN YOUR MESSAGE DATED 22ND JULY 2006. Gee Roy, now I've gotta wash my house. Wow that made me take a peek inside mine. Whew, not that bad.